Are you a spirit producer, manufacturer or distributor in the North West? You only have to visit the latest artisan market or food and drink festival to see that that the number of spirit businesses in Greater Manchester is following the national trend. The law and regulations can often be the last thing that a business considers, but if you get it wrong, the financial and reputational damage can be huge. This workshop will provide you with an overview of the things you need to consider when developing a distillery or distributing spirit drinks including advice on making sure your business complies with the law. 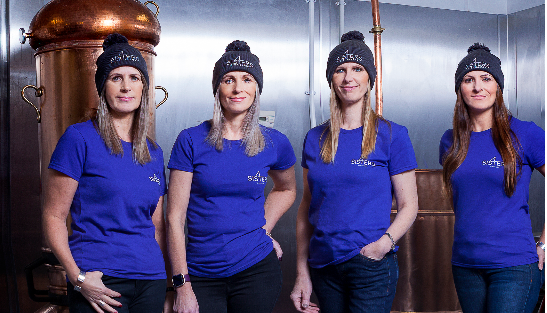 Hear from Salford-based gin distillers Four Sisters: “four sisters with a passion for creating beautiful gin.” They will be telling their story and answering questions about their experiences. The Wine and Spirit Trade Association – industry experts will provide advice on composition and labelling requirements, including what should and should not go on your labelling and packaging. They’ll also provide some useful guidance on customs and excise rules. Environmental Health – providing advice on what you need to do to ensure you prepare your product safely and in-line with national requirements. Fire Protection – covering what you need to put in place to make sure you keep you, your staff and your customers safe. There will also be the opportunity to talk to expert advisors from the Greater Manchester Regulatory Centre of Excellence, the GM Business Growth Hub, and Business & Intellectual Property Centre Manchester.